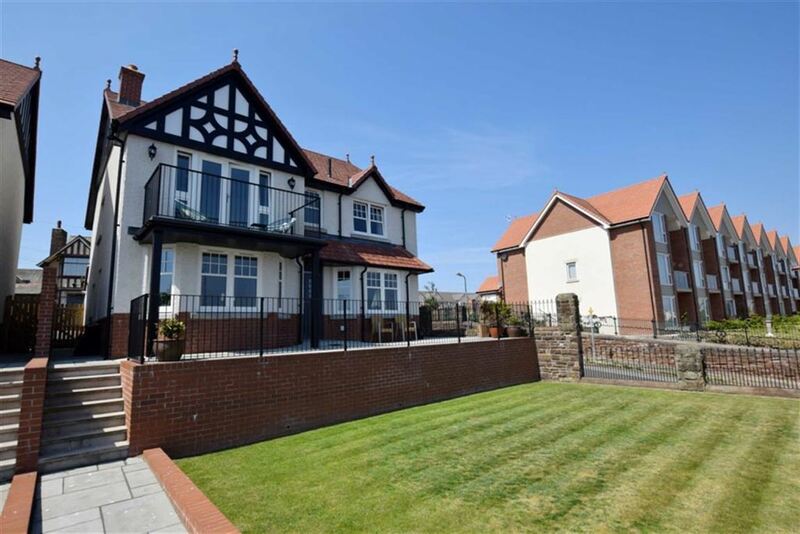 This is an Edwardian style detached house. 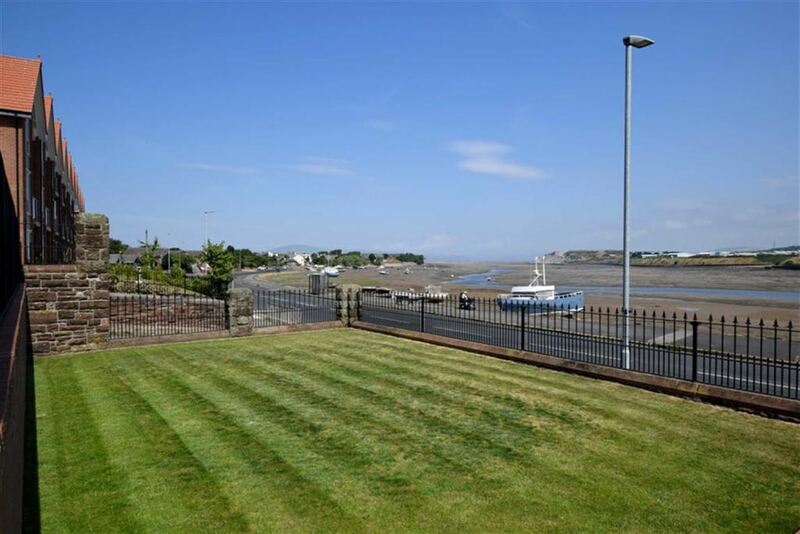 Excellent Location with open aspect across Walney Channel with views of the Duddon Valley and the Lake District beyond. 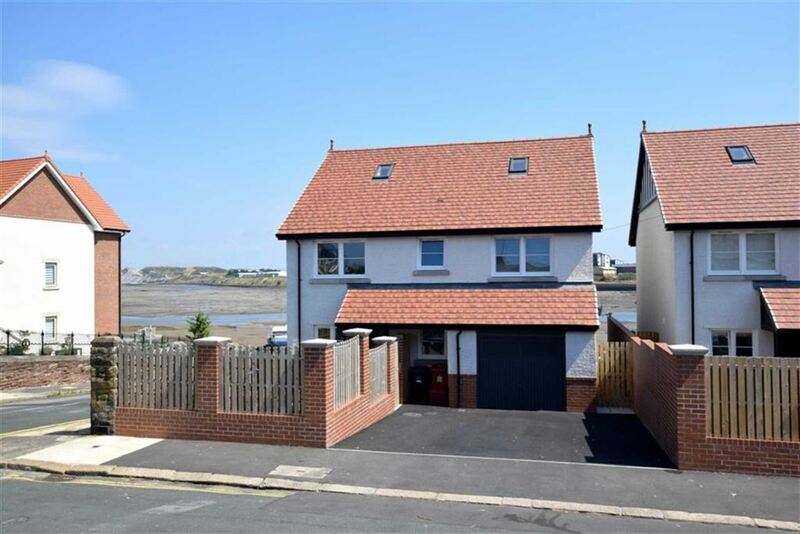 The house is a high specification with quality fitments, gas central heating, double glazing and tasteful decoration. Gardens both front and rear with a double driveway and an 18ft garage. Unique and superb! Viewing is essential. 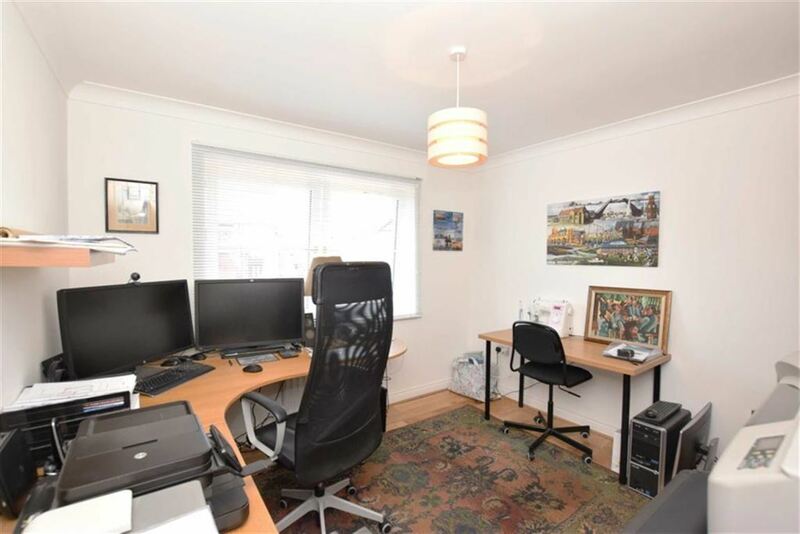 Timber dark painted Victorian grey front door has double glazed front door has double glazed panes and steel furniture, affords access from the front of this delightful house into the property. Featured cornice and matt white emulsion décor. The hallway provides access to the stairs, glazed doors into the lounge, living room / kitchen, oak doors to the cloakroom and garage. 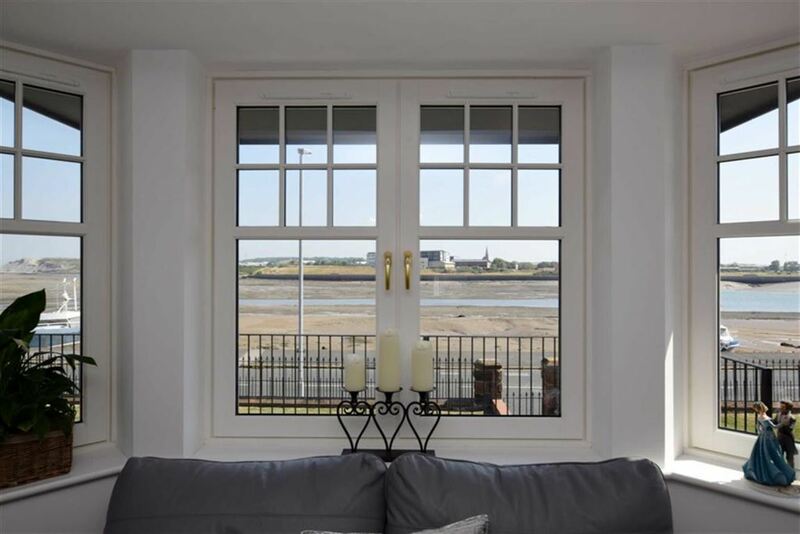 With traditional bay double glazed window, fixed side facing double glazed window. 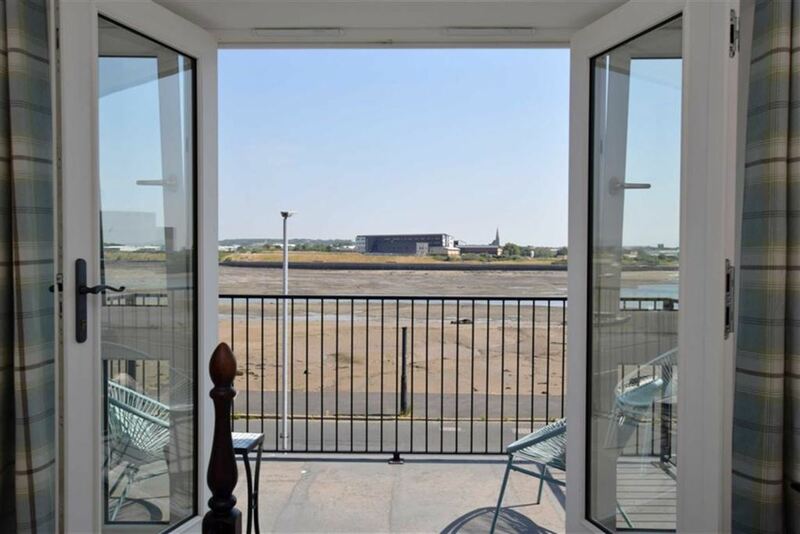 Stunning outlook over the garden and channel. Cornice to the ceiling and engineered oak floor. Two panel radiators with thermostats double power points, CAT 6 system and TV aerial with satellite feed. A stunning room with superb presentation, decor of chalk white, ceiling height of 2.50m and traditional proportions. With twin aspect white painted timber windows. The view to the front is stunning. 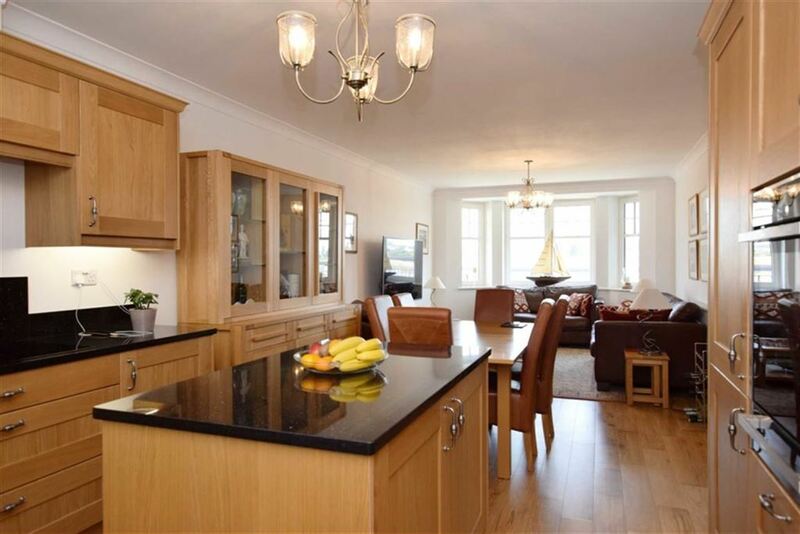 The kitchen area has been fitted with a good range of modern and superior. 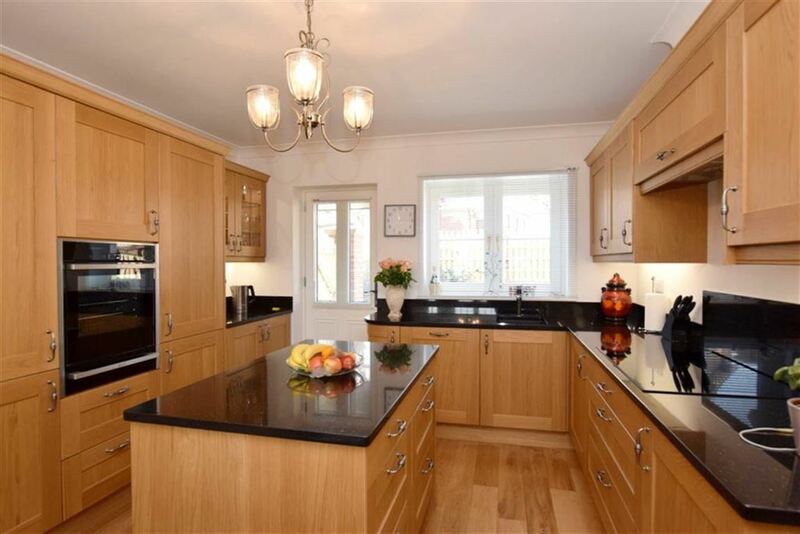 Shaker style oak faced base, wall and glazed display, soft close units with pewter style quality handles, pelmet lighting, cornice and a polished black granite work surface. Inset composite sink with Carron stainless steel mixer tap Pull out and racked larder unit. Splash back also of black granite.
. Two panel radiators with thermostats, Ample power points, points for two ceiling lights. TV aerial with satellite feed. Central island unit with granite surface. 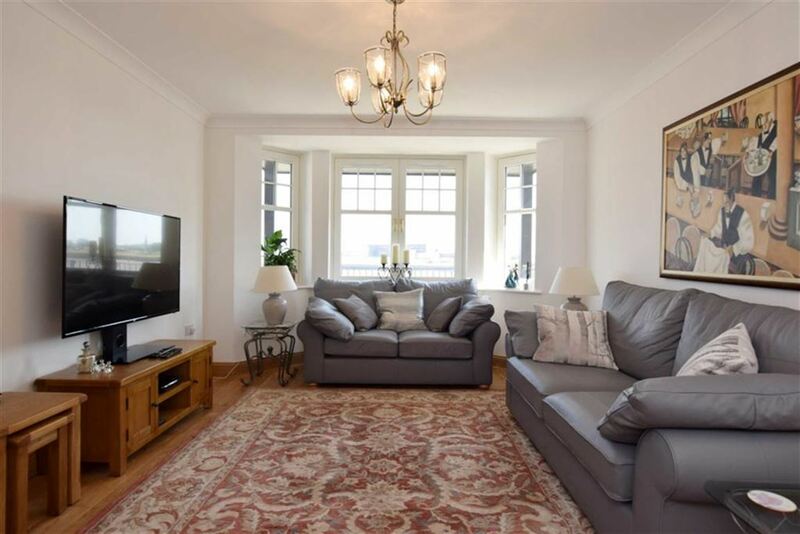 Ample and flexible space for both dining and lounge suites, ideal for the modern family..
Quality engineered oak flooring the kitchen is superbly fitted and presented. Twin glazed french doors to the hall. External door with double glazed panes to the rear garden. 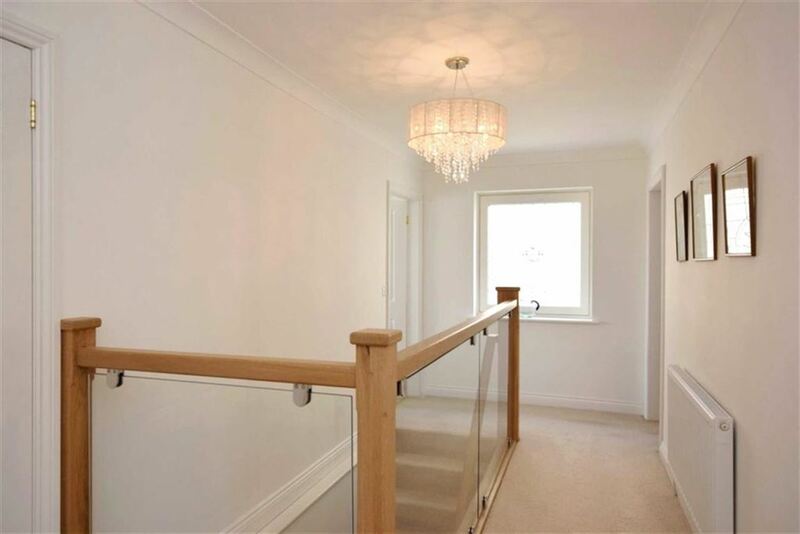 The quality staircase with oak handrail leads from the side of the entrance hall to the first floor landing. With opaque double glazed, bevelled leaded windows to the side elevation with glazed panels. Oak bannister. Panel radiator with thermostat, two power points and smoke alarm. Shelved linen cupboard with electric light. 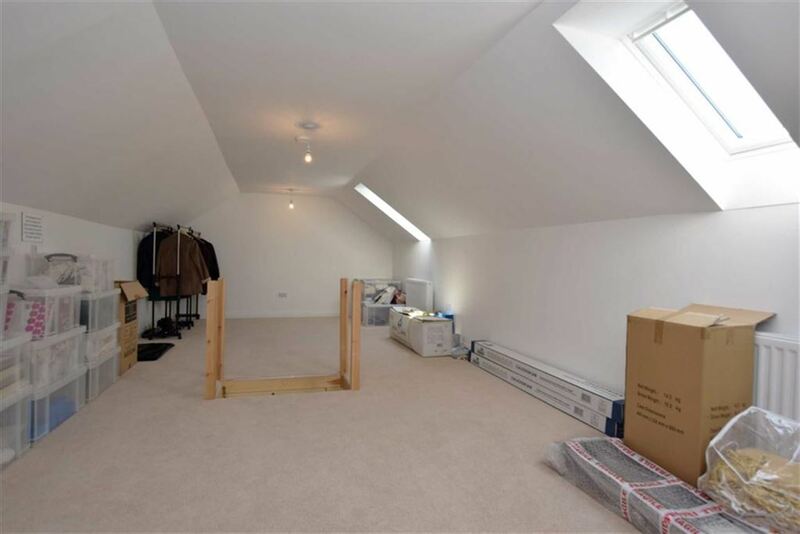 Tasteful white matt decor, coving, cream carpeting and loft access. Regency style white doors to each of the rooms. Drop down folding timber loft ladders afford access from the spacious ;landing to the loft. With twin Velux opening windows to the rear. Two radiators with thermostats, four double power points, tree ceiling lights, mains smoke alarm, concealed plumbing for future usage. Gentle slightly inclinded ceiling, central access to the stairwell. Versatile for use, conversion, subject to consent/building regulations. 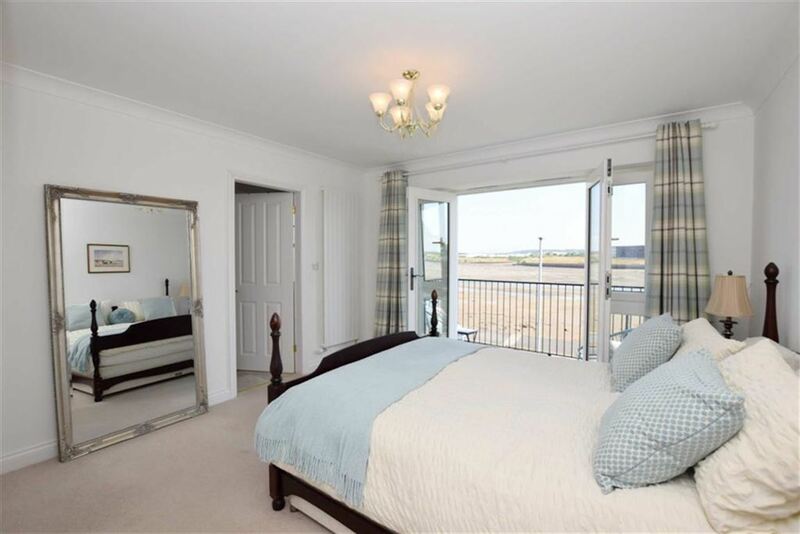 With twin double glazed opening windows to the front and balcony, with the open channel view. Vertical panel radiator with thermostat. Two double and one single power points, Ethernet and telephone point. TV aerial with satellite feed. Built in double and single door wardrobe. 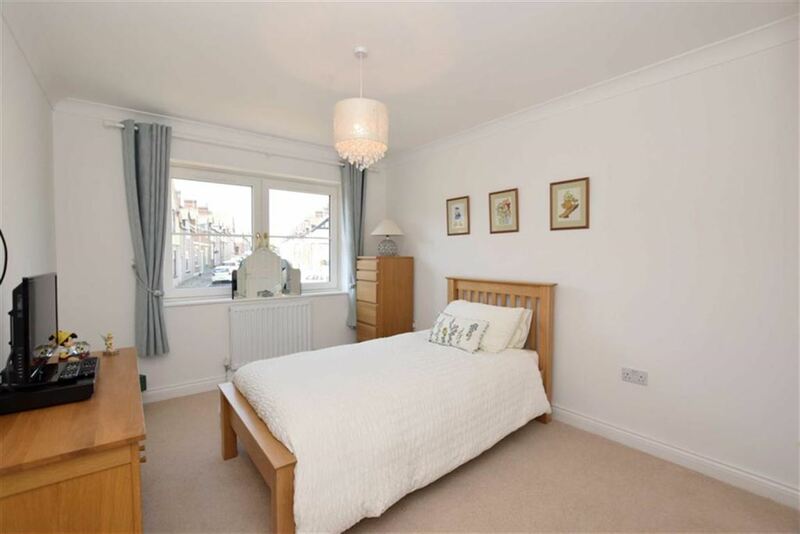 A beautiful bedroom with egg shell white decor, coving, cream carpeting and ceiling height of 2.40m. 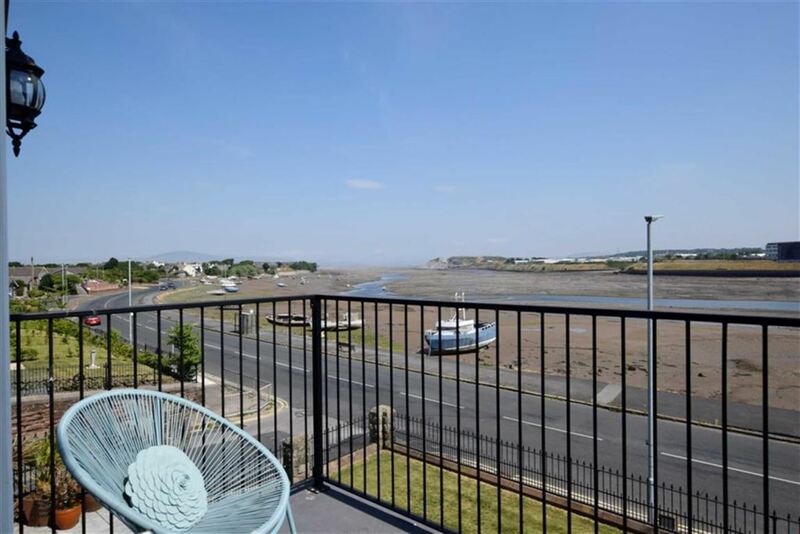 Balcony - With vertical black wrought iron rails and a stunning outlook to Walney Channel. Lake District Hills (at an angle) in the distance. With opaque double glazed window to the front elevation. Fitted modern, attractive and contemporary style three piece suite in white with chrome fitments. 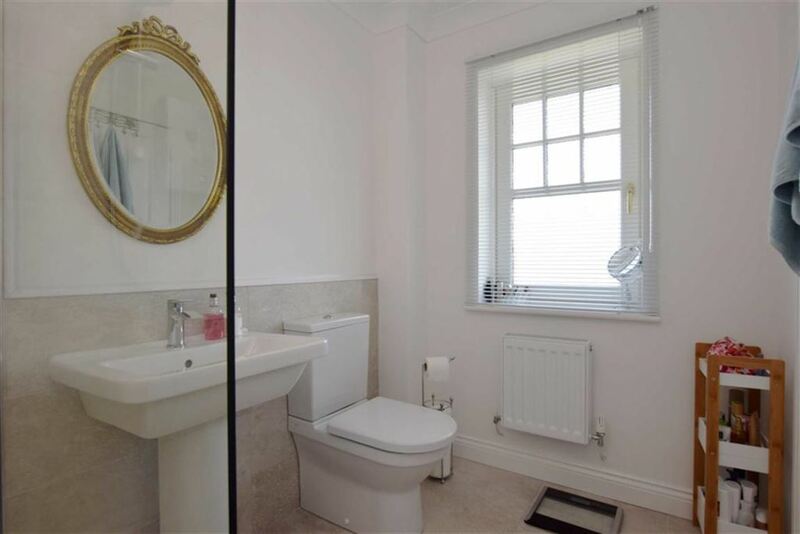 Low level dual flush WC, Wash basin with pedestal and mixer tap. Walk in shower with Aquacisa electric shower, flexi track spray and glazed screen. Complimentary recess tiling in grey and oyster. Panel radiator with thermostat, extractor fan. Riven ceramic floor tiles. 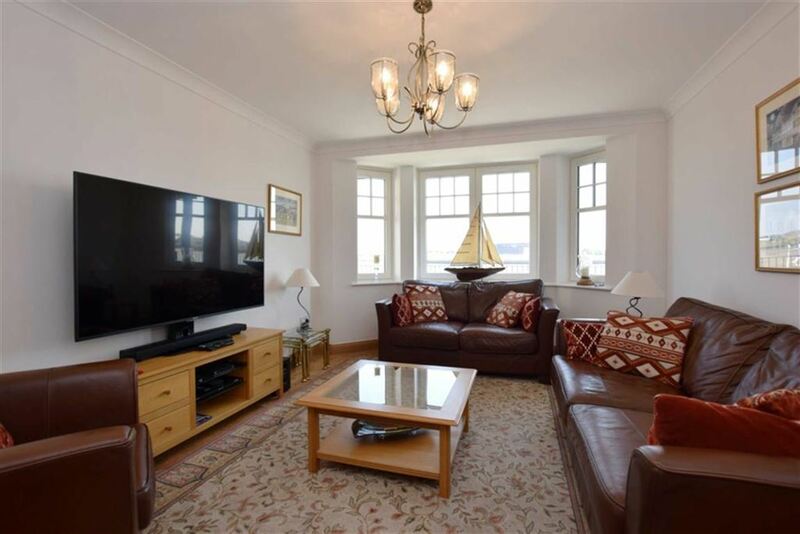 With twin tilt and turn double glazed windows facing the front aspect - with a stunning view. Panel radiator with thermostat, two double and one single power points, telephone point and TV aerial with satellite feed. Built in twin and single door wardrobes. 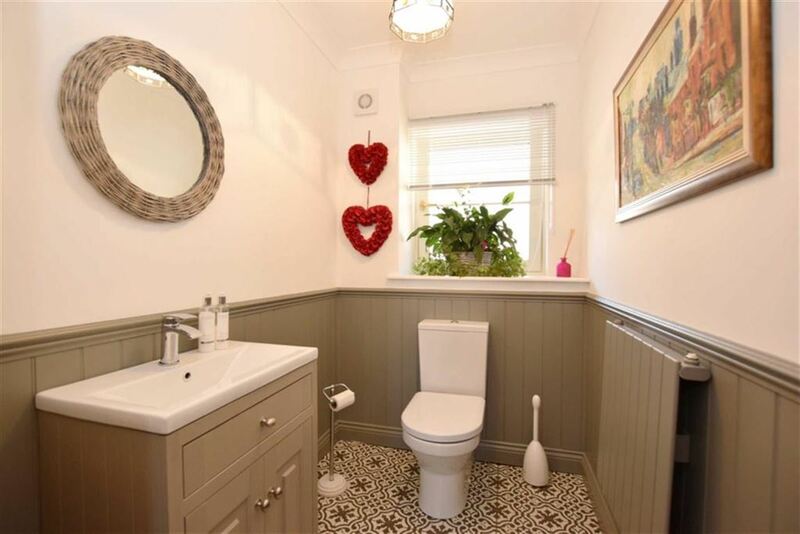 Another superbly presented room. With twin windows, opening panes - facing the rear elevation. Panel radiator with thermostat, four double power points, telephone point and TV aerial with satellite feed. Built in twin and single door wardrobes. With twin opening windows, facing the rear elevation. Cornice to the ceiling. Panel radiator with thermostat, four double power points, telephone points, TV aerial with satellite feed. Oak shaded laminate flooring. With opaque double glazed tilt and turn window facing the side elevation. Fitted superior and contemporary four piece suite in white with chrome fitments. 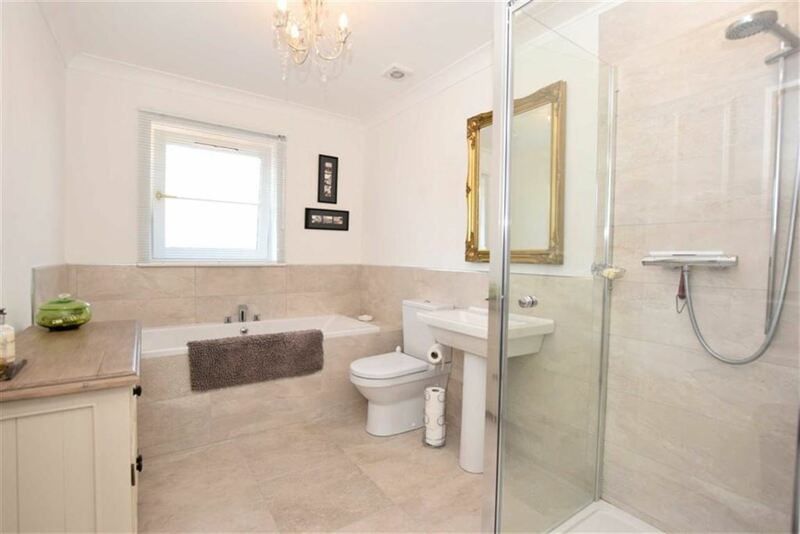 Low level twin end bath with central mixer tap, matching side panel. 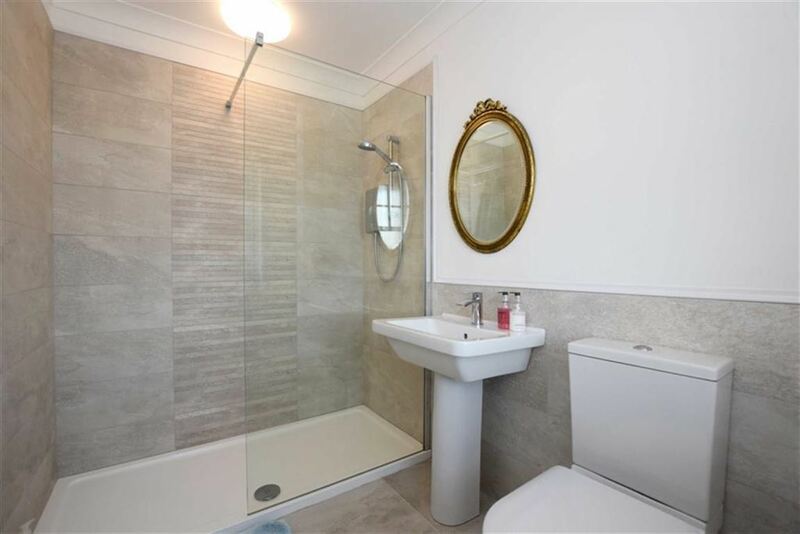 .Low level duel flush WC, Vitra wash basin with pedestal and mixer tap. .
Glazed shower cubicle with thermostatic shower, thermostatic bar shower with flexi track spray and fixed head. Complimentary recess tiling of oyster and grey. Chrome tubular and vertical towel rail style radiator. Extractor fan. 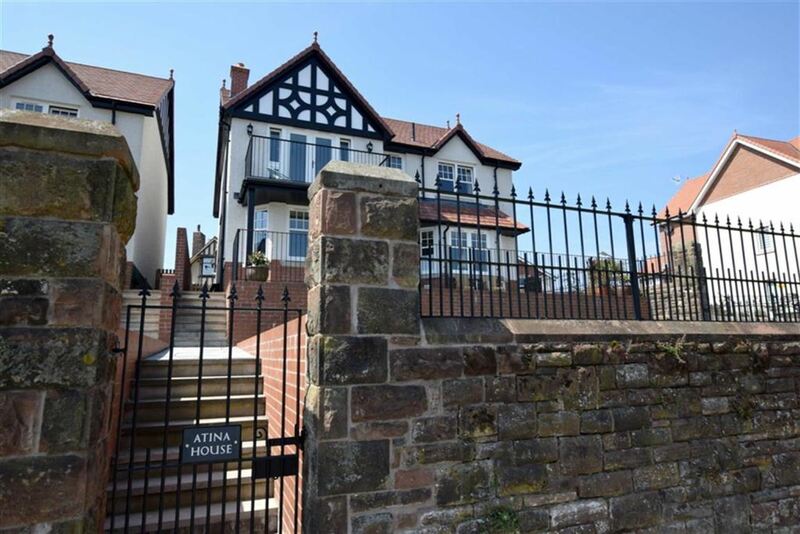 This is a unique, recent build detached house of an appealing Edwardian style. 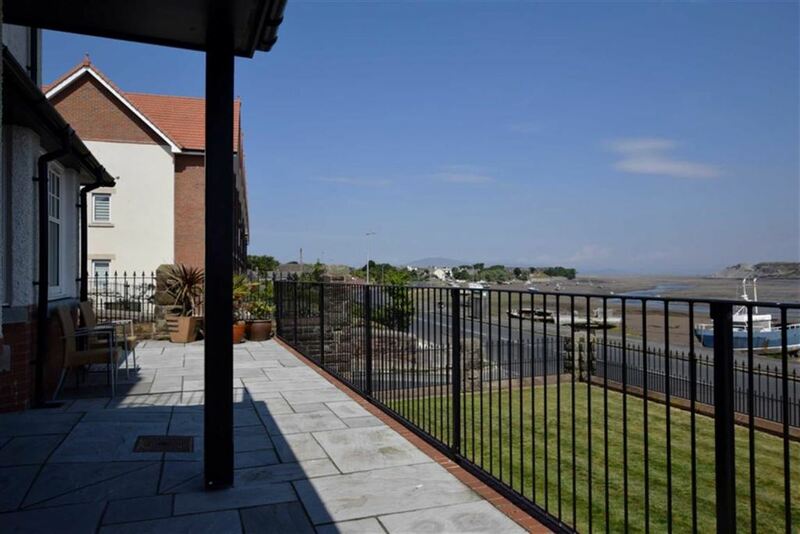 The location is superb with the open aspect and view across Walney Channel, Lakeland Hills in the distance, patio terrace to the front. 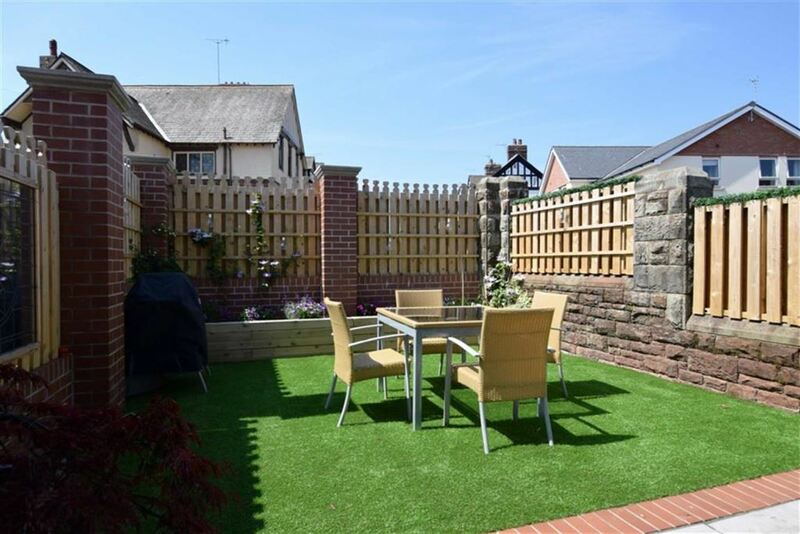 To the rear is a delightful and private rear garden with slate grey shaded, riven patio for patio furniture. Lawn area of astro turf - for family recreation. Raised and planted border to the rear, with brick and sandstone wall and inset fencing. Gates to the drive and path to the side. A lovely enclosed area - door to the kitchen. External tap, light and power. 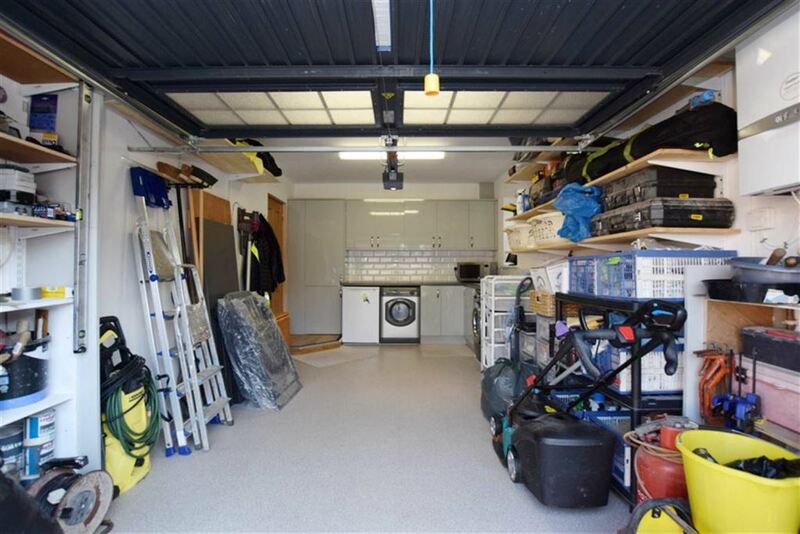 Two car parking bays and garage access. Integral garage with up and over electric door. Internal door to the hall. Double glazed window to the side. Fluorescent light. Fitted with a range of high gloss base and wall units, stainless steel single drainer sink with mixer tap. Space and plumbing for washing machine.